Friendly staff. Clean and relaxing waiting room with refreshments. Quick efficient repair. Great, even gave me a loaner car. Staff was friendly and suggested exactly what needed to be done to our Lexus 350RX. They performed the needed service at a cost savings of over $650 from what the dealer quoted from which we purchased the vehicle. Would higher recommend Hones-1. We waited for the car to be serviced in a waiting room full of the latest magazines and newspapers, which made the wait seem much shorter. Excellent service! Highly recommend this company for car repairs. Had car inspected, everyone was very nice. The staff was friendly and knowledgeable. My favorite aspect is that they inform you of what's going on, show you, and let you know of things that can be put off. They don't try to scare you into getting repairs done at that moment. I will always be a customer and I will refer anyone in need of auto repair. 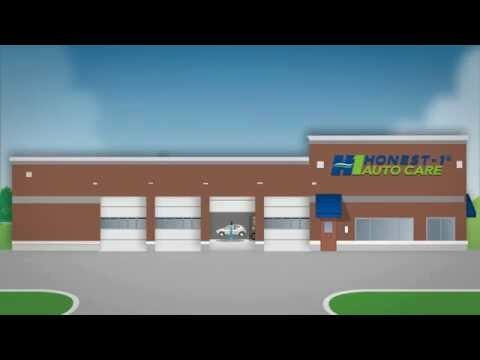 Honest-1 Auto Care of Mooresville has been serving the community since 2017. During this time they have developed a loyal following of satisfied customers who described this shop to us as "fantastic”, “awesome”, “helpful”, “accommodating” and "professional". This location features a well-trained team of automotive technicians. An investment in the necessary tools and diagnostic equipment helps make them capable of repairs ranging from tires and wheel alignment, to minor and major mechanical repairs, to state smog and safety inspections, to check engine light diagnosis and repair, as well as your scheduled maintenance needs. Repairs are covered by a 36-month / 36,000-mile warranty for your peace of mind. A local shuttle service, rental & loaner vehicles, early bird drop-off, Saturday business hours, and a waiting area with wireless Internet are also available for your convenience.